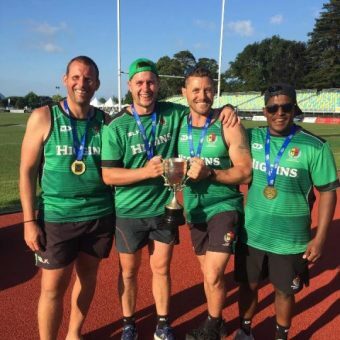 What made you want to play rugby in Japan? The opportunity to play the game I love all day everyday and meet new people that share that love was what made me want to come here. The people, the hospitality, the culture and the vibe is what makes me want to stay. What jaapnese words do you know already? In my everyday life, my parents. They lead by example when it comes to building a life to be proud of and have supported me in a way that has given me so many opportunities in so many areas of my life. As an athlete, Maria Gallo. A retired canadian international, she has everything that a rugby player dreams of having. She’s smart, she’s fit, she’s physical, she’s fast and she’s skilled. What do you think you can add most to your team here in Japan? My speed is my most obvious strength but I also pride myself on my vision on the field and on being a team player. Team work makes the dream work! Did you have any worries or concerns about making the move to Japan? I miss my family but the team has made the transition smooth and I’m excited to embrace every moment of my time here. What Canadian food do you miss the most? Mom’s spaghetti. Have you guys heard that Eminem song? Whats your image of Japan? Before I arrived, I had seen the typical beautiful photos of mountains and cherry blossoms and met the typical beautiful people of Japan. Update: I have yet to see a cherry blossom or a mountain but I can confirm that the people are amazing. What things are you hoping to try in Japan? How do you feel about living in the hustle and bustle of Tokyo which has a population of 14 million? I’m from a bustling city that is among Canada’s densest, most ethnically diverse cities with a large Japanese population. So in some ways I feel close to home. Minus not being able to read anything on the streets. 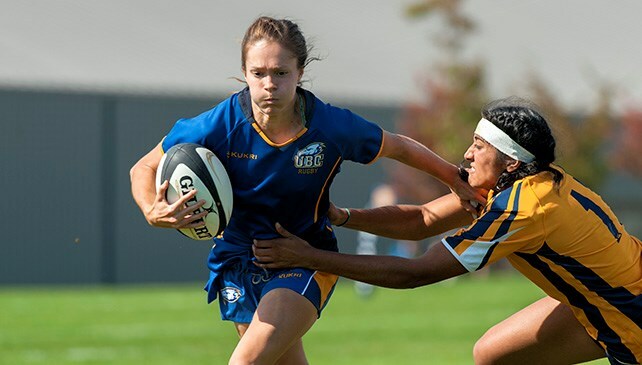 What message do you have for young girls in Vancouver and the rest of Canada who want to play rugby at the highest level? Where there is a will, there is a way. If you want to play top level rugby, you find a way. Whats your thoughts on womens rugby in Japan? Before I came here, my impression was that they were skilled, hardworking, disciplined and fit. When I got here, my team confirmed all these things. Especially the fitness part. Whats your favorite Japanese food? On behalf of all Vancourites – sushi. Finally, if you were on a plane for 24 hours who would you like to sit by and why? Where in the world takes 24 hours to fly to? It better be amazing. Preferably nobody or someone with soft shoulders but if I had to choose, Chrissy Teigen.